The correct usage of a chain saw is a big topic in its own right, but purely from the basic safety viewpoint there are specific items to talk about. Make sure that your chain saw includes the safety of the hand guard which will doubles as the chain saw braking system if your chain saw kicks upwards. This is normal these days. People that would rather use their left hands really should check the chain-saws and safety gloves, because nowadays these are manufactured for right handed people, & the lefties amongst us all will need to learn to utilise the chain saw in a very different style. In dryer environments try not to let petrol splash onto the motor components, neither should you smoke cigarettes near the chainsaw as this could be fatal for you or anyone nearby. This is no hedge trimmer, this is a serious weapon in the wrong hands. While carrying out tasks with a chain saw, especially difficult procedures, you should ideally have somebody on hand to aid you and make sure that everything is as safe as you can. We strongly recommend to lug a full emergency first aid kit around with you. Cutting any kind of tree can be quite high risk even for specialists; this expert job usually requires proper training. It is not advisable to attempt chopping a large tree down before you know the appropriate techniques needed. 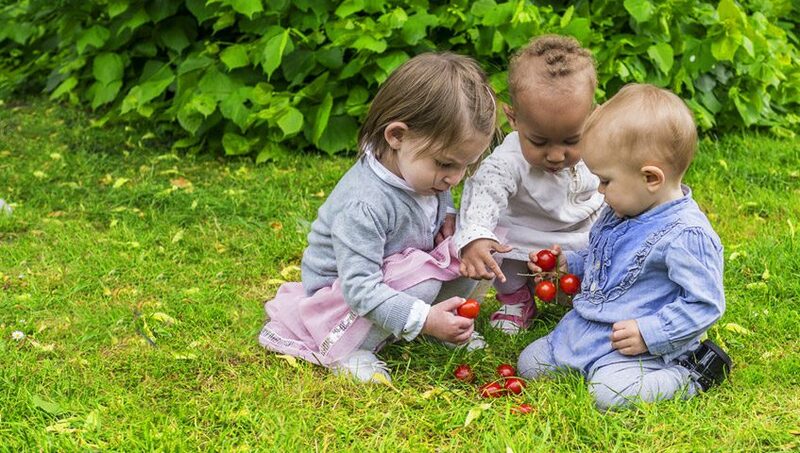 It’s especially important to ensure you don’t leave any sharp points on the stump, especially if you’re trying to make the garden safe for toddlers. Always clean your working space of brush, under growth, unfastened branches and debris. 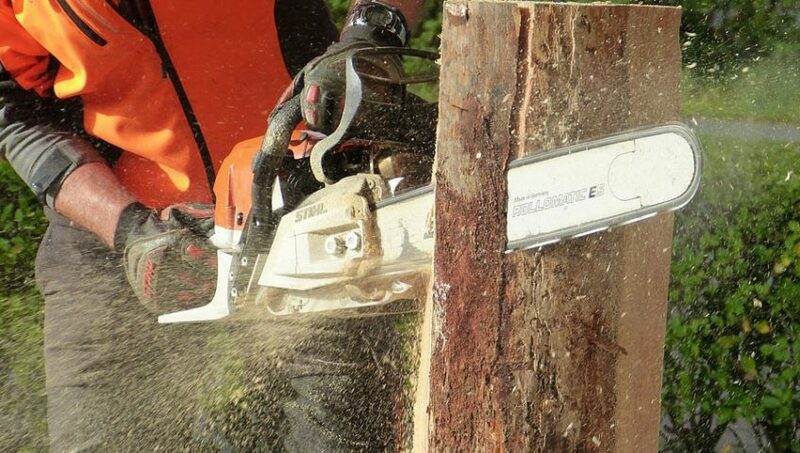 While felling, avoid letting the chainsaw blade from making contact with very hard surfaces such as stone as well as the earth and make certain all nails, fasteners and other metal products is removed from the wood just before slicing. Using a blunt blade is dangerous, keep it in perfect working order with a chain saw chain sharpener. Don’t be inclined to swing from trees whilst using the chainsaw and hold the chain saw down below stomach level when you are operating it. Many people have injured themselves terribly doing this. Don’t throw away your branches, instead get a shredder and then create a mass of wood chips that can be used to protect your plants hydration in the summer drought that’s sure to follow. This is the perfect picture of how NOT to do it. There are many hazards when making use of an electrical chainsaw. One particular being, using your electric powered appliance while it is raining, because this can certainly result in an electric shock and quite possibly death the same principal applies to electric pressure washers too. The second is to adopt extreme care to stop cutting the electricity cord. Whenever using an electric chain saw, there’s procedures you should follow to keep safe, when it is then make sure its capable of handing the total power supply without tripping, another great tips is to unroll the cable so it does not get too hot. In the event of a severe injury do everything possible to help clean the wound & stem the flow of the bloodstream & keep the damaged body part as high as possible & await the arriving of the emergency services. Many people do not actually injure themselves operating a chain saw, because they follow the proper safety recommendations. Please be certain that you are one of those in that particular category and consider suitable safety measures and put on the proper clothing. Taking good care and maintaining your chainsaw is an extremely important part of having this useful item, but you also need to look after yourself when using it. They are extremely dangerous if misused and every safety precaution must be taken to ensure you remain safe during use. Chainsaw safety is a big deal, please don’t think otherwise. Working with a petrol or electric chainsaw will be the dangerous thing you ever get up to in the back garden, be sure all the parts of the physical body are safe with all the relevant essential safety kit. 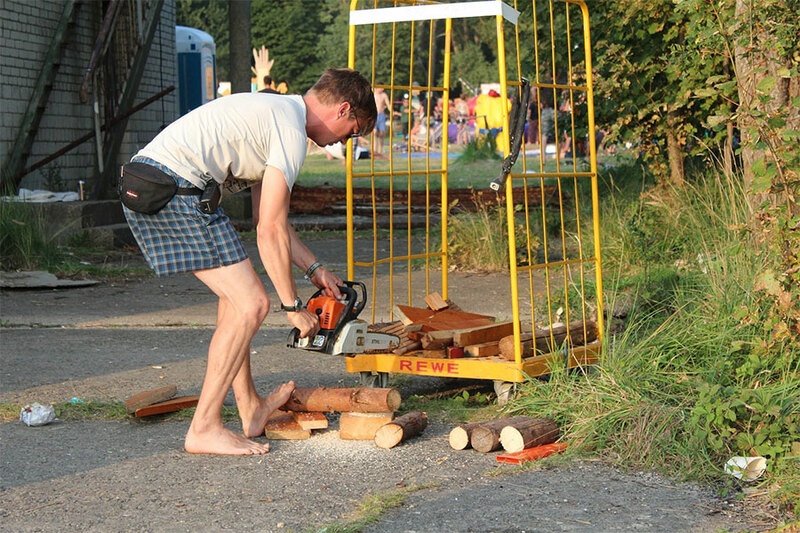 Make sure you handle a chain saw with caution and also consider required essential safety steps. Always read the instructions for correct and safe use. Every single new chain saw will come with one. 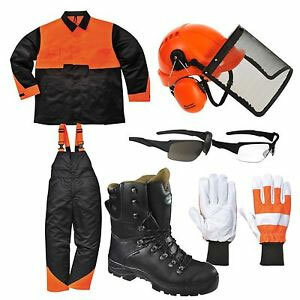 The correct safety protective clothing must be used, ordinarily this means staying covered thoroughly with some kind of safeguarding gear primarily in place to protect you from any chain saw mishaps and flying wood chips. Don’t skimp on chain saw head protection. In an ideal world you would have this kit: Your helmet; (to protection specifications EN 397) Visor; (Plastic, Mesh or Clear) to EN 1731 Ear Defenders / Ear Muffs to EN 352-3. Safety ear-plugs are a fantastic replacement for ear-muffs. Eyeglasses must be to safety standard EN166. The producer Vitrex boasts excellent helmets which includes a number of functions, including the rainwater gutter that is valuable in very poor conditions. It truly is optimal to make sure all of your current chainsaw equipment is a good fit and enables adjustments to be made. Confirm that any type of specialised clothes which you purchase is authorised using the safety EU symbol suggesting it is fully tested. Chain saw jackets and trousers should have specialised kevlar or a ballistic coating manufactured into the clothing which allows the body to be safeguarded should the saw blade kick-back. When any cut has happened, the clothing is recommended to be replaced. You can acquire Type A seatless chaps to go on top of your regular trousers: these chaps protect just the front of the leg but they are significantly less susceptible to temperature build up. With a selection of options out there, now is the time to buy a protective jacket provided by manufacturers like DeWalt, Draper and even Makita. To further safeguard yourself, you’ll find Type C slacks available that defend a person just about all the way round. They will keep your lower limbs pretty warm however they are vital for heavy use chain-saw users. The very best wager might be to go for bib & brace type trousers in which the bib adds the additional proper protection that you will want. Draper produce such a pair that are fitted with anti- chop lining which abides with the most current EN381 rules. Include a jacket on hand for 2x safety and definitely warmth. To help guard more vulnerable parts of the body, gaiters are available to buy. Makita is one of the manufacturers selling these. Gloves aren’t an area to cut costs. Draper specialise in the anti cut chain saw glove and provides protection from saws up to 16 metres per sec. The actual testing specification conforms to EN 381-7. 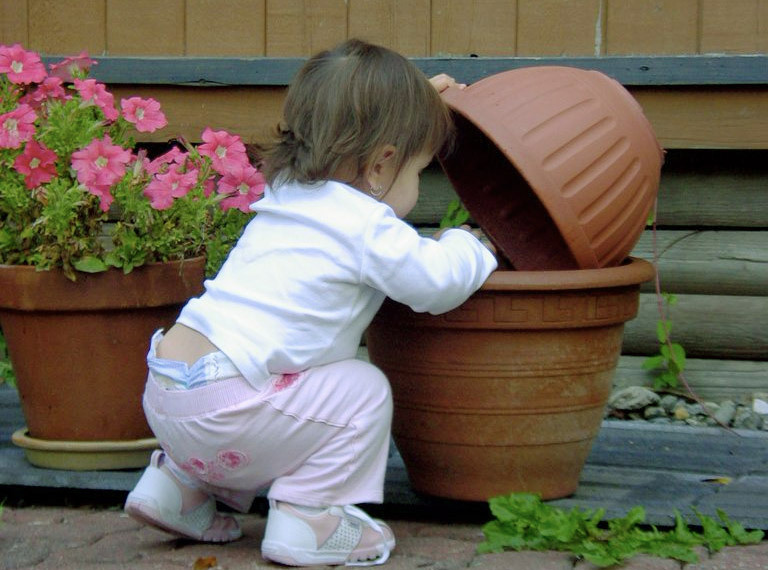 Prior to purchasing you ought to check what regions of your hands are shielded properly. Often it is the back of the left-hand, in which a good number of injuries tend to be sustained. Supposing needless to say that the worker is a right hander. 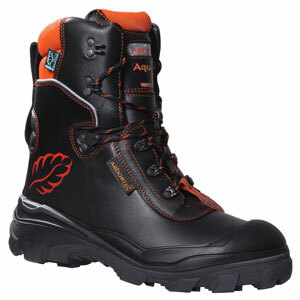 Chain saw boots are typically across the path of the typical work boots that utilise the steel caps, and also comprise of extra anti-cut defence, the best use a Kevlar coating, and also have a really good capacity to resist staining and blemishes. Virtually any shoes will need to ideally comply with EN345-2 conditions. In case you are looking to save a bit of money you might be able to purchase kits that will contain all or most of the aforementioned goods & ideal for first timers.